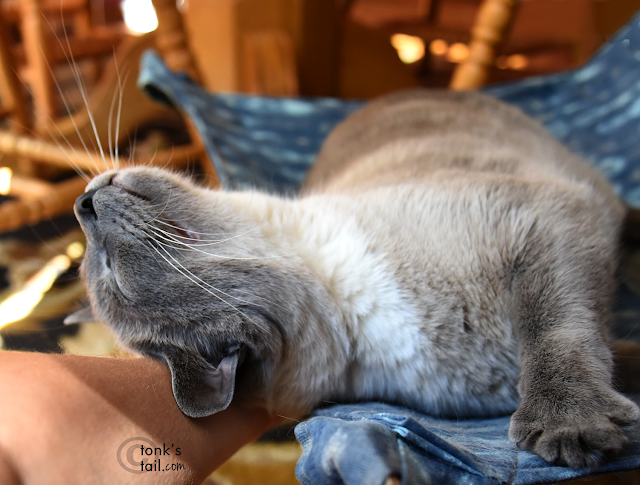 A Tonk's Tail... err, Tale...: True Bliss. Maxwell, you are a scritch HO! That is a very happy face. You are one blissed out kitty! Now that’s a happy cat. Oh yes, scritches make us pussycats tilt our heads back and purr purr purr every time! Mom sends some virtual scratches your way for you. Winky winks.